This part of the strategy highlights the challenges we face in order to safeguard and grow more extraordinary creative and digital clusters in the borough, and to achieve our aim of inclusive growth. Creative and technology businesses of all sizes like to concentrate in clusters. The proximity and agglomeration benefits provide competitive advantages — a critical mass of talented workers and creators, access to clients, opportunities for collaboration, knowledge sharing and socialising. In addition to a good supply of key workspace typologies (as described below), strong creative clusters are also made up of other important programmes and institutions such as sector-focused business networks and accelerators and universities — providing knowledge spillovers and innovation. A strong place identity, with a cultural and night-time economy offer, has also been a key factor in the development of major creative and digital clusters. London’s largest creative and digital clusters — Soho and Tech City, have grown into world-class business destinations through a combination of these factors. 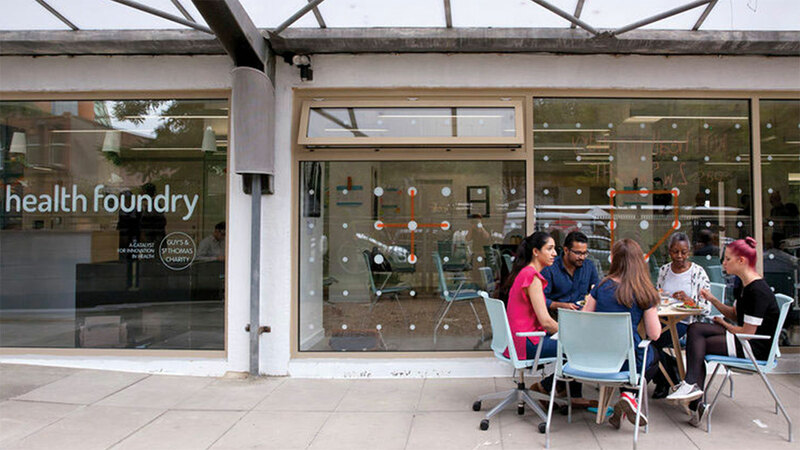 Lambeth has many of the key attributes desirable to creative and digital businesses. Local property agents, workspace providers, and the council’s inward investment service are experiencing high levels of demand. This demand is coming from start-ups, growth companies, artists, as well as large scale SMEs and creative institutions wishing to relocate or expand in the borough. But despite this demand, the creative and digital sectors have not grown as fast as in many other London boroughs. The creative industries currently make up around 8% of total employment in Lambeth, below the London average of 12%. The digital industries make up 4% of total employment in Lambeth, below the London average of 6%. Lambeth is home to some of the UK’s most important health providers and teaching hospitals — Guy’s & St Thomas’ and King’s College London (KCL). These centres of expertise and innovation in Waterloo and Denmark Hill have significant capacity for expansion. The council is working with the Guy’s & St Thomas’ Charity and KCL on masterplan projects which will guide the development of major new R&D and commercial health clusters. Guy’s & St Thomas’ Charitable Trust recently invested in the creation of a new health-tech business incubator — The Health Foundry. They have recently been joined by HS — a health-tech accelerator that builds and scales tech start-ups to tackle global health issues. Providing a combination of space, intensive business support, mentoring and access to capital, their first accelerator received hundreds of submissions from entrepreneurs. Low levels of commercial space are the critical factor limiting growth of the creative and digital economy in Lambeth. The growth of Lambeth’s creative and technology driven employment has been lower than many other central London boroughs. 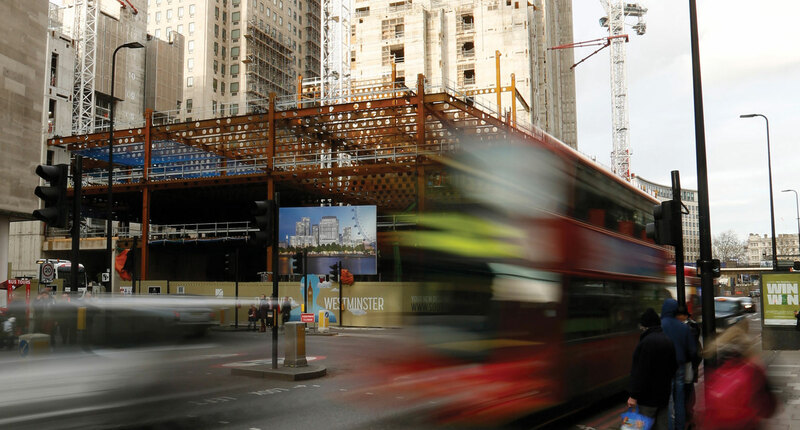 Whilst other areas in London have seen an expansion in commercial floorspace, Lambeth has seen major losses of space — 200,000 sq m over the past 5 years, especially in north Lambeth, Brixton, Clapham and Streatham. The Government’s relaxation of planning laws through Permitted Development Rights has been a major driver of losing commercial space to residential use, accounting for 60% of all losses. Lambeth has a lower stock of space than locations within Central London including Southwark, Camden and Islington. Vacancy rates are also significantly lower than in other comparator boroughs. In response to the issue, Lambeth has introduced an ‘Article 4 Direction’ which came into force in September 2017. This has removed the ‘Permitted Development Right’ in the whole of Brixton town centre, a series of sites in Clapham and ten industrial areas. Our research tells us that local workspace providers are experiencing high levels of demand from CDI businesses of all sizes to locate in the borough — particularly our growth areas. Increasingly, large creative and digital companies want to co-locate in areas where there is a large and visible small business and start-up business community. In terms of new workspace development, there are positive signs of a shift in the right direction. A new wave of development activity in Lambeth is starting to provide an opportunity to increase the supply of appropriate workspace of all types. Our Commercial Development Pipeline Report identifies 24,000 sq m of (net) space under construction, the first time there has been a positive net position for B1a space. In addition to this, construction starts for new commercial space have recently been higher than comparator boroughs. Large scale workspace providers including The Office Group and WeWork have recently opened new large scale facilities for CDI business in the borough and have future expansion plans. Smaller scale workspace projects recently established or in the pipeline are beginning to shape a stronger start-up ecosystem in Lambeth. Increasing commercial values present positives and negatives for Lambeth’s CDI sector. Developers are more likely to bring new commercial space to the market, increasing supply — an essential factor for Lambeth. But, as found all over London, higher values put increasing cost pressure on some important creative industry sub-sectors important to the fabric and supply chain of Lambeth’s wider economy. 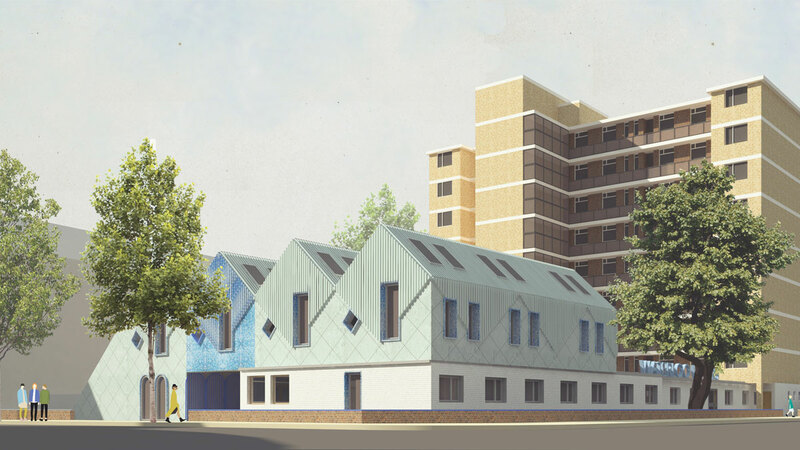 Photofusion and Hatch Enterprises, 198 CAL has successfully raised £475,000 from the Mayor of London’s Good Growth Fund, towards their £1.1m target to redevelop their current site in Herne Hill, tripling the current space available. Across three floors, the new building will provide exhibition and community space, a floor dedicated to creative skills, education and enterprise under the ‘Factory’ banner and new studio space for creative industry start-ups and freelancers. 198 CAL’s work is framed by local communities and the history of the Brixton uprisings. It was recently granted National Portfolio Status by Arts Council England which guarantees the core artist programme for at least the next four years, and is a key partner on the Next Generation initiative. Architectural practice Squire & Partners recently moved its 250-strong team to Brixton from King’s Cross, marking the first large professional services organisation to relocate to the town centre. 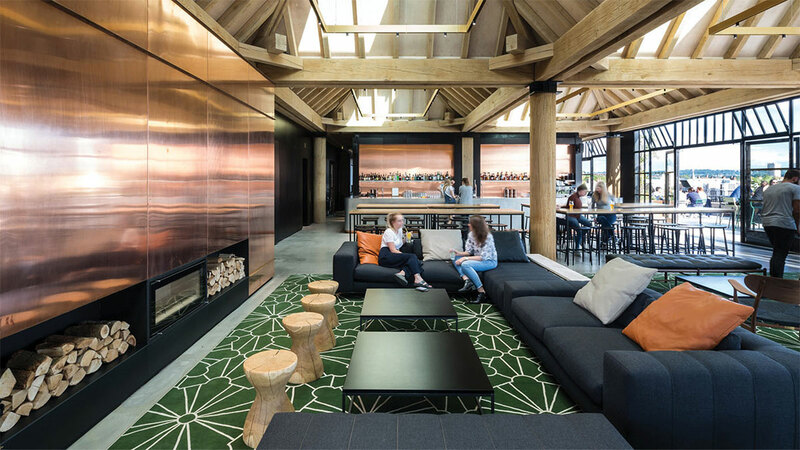 Purchasing a dilapidated Edwardian department store, it has entirely reimagined the space, allowing the existing fabric and layers of history to inform the new design for their head office. The development also involved creating a new ground floor restaurant, Canova Hall; a refurbishment of the former fire station and stables, providing a new location for Brixton Post Office, and three units for small businesses. One of the small units has provided space for an independent Brixton record shop to relocate and expand. 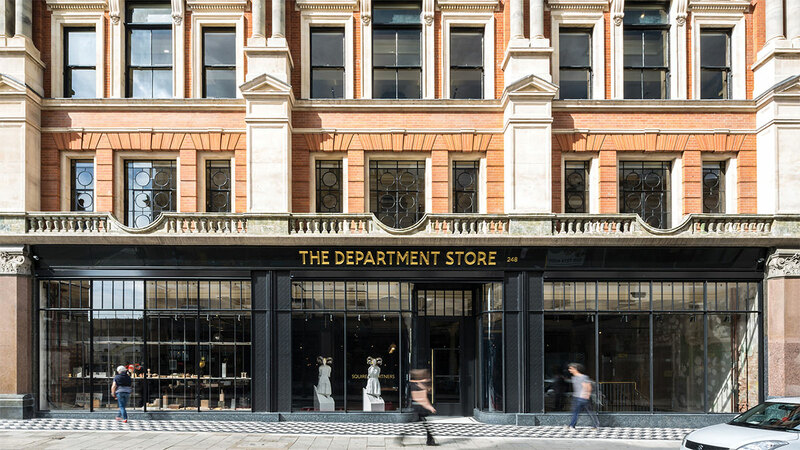 The Department Store provides new events and meeting spaces in the heart of Brixton, addressing a gap in network spaces for Lambeth’s creative economy. Squire & Partners is part of a growing trend of creative organisations, large and small, who are looking to locate in the borough. Affordable and supportive workspaces (e.g. artist studios, business incubator and accelerator spaces) are an integral part of London’s strong ecosystem for creative and technology innovation. Research by the GLA and the Lambeth CDI Study 2017 highlights that the borough currently lacks the critical mass of affordable and supportive workspace facilities required to support significant cluster growth. As witnessed in many parts of London, the cost of workspace has risen sharply for some businesses. The lack of supply exacerbates the issue. Whilst the cost of commercial property remains lower in Lambeth compared with major creative and digital clusters such as Soho and Tech City, affordability is a major concern for many creative and technology companies. for visual artists at rents of between £10–18 per sq. ft. The stock of affordable artistic workspace has been dwindling (a London wide trend) with Lambeth-based workspace providers operating huge waiting lists for space. These spaces are crucial for artistic experimentation. Business incubation and accelerator spaces (e.g. Health Foundry, Build Studios) are a very important component of London’s burgeoning ecosystem for the creative and tech sectors. These spaces cater to pre-start, start-up and early stage businesses, often providing enhanced business support and below-market co-working space for companies before they scale up and move on to open-market workspace. 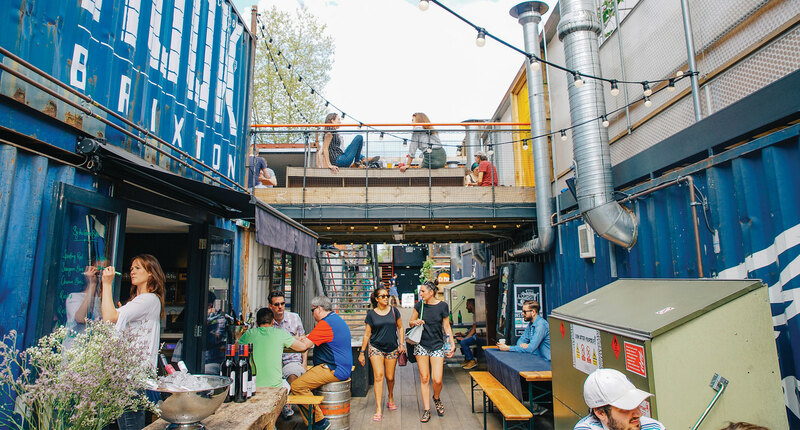 In London’s highly prized and dynamic property market, temporary space projects like Pop Brixton are also a highly effective way of maximizing opportunities to support inclusive growth. Major local organisations can host creative organisations that need affordable space on a short or long term basis (e.g. the BFI hosts the early stage social enterprise Iconic Steps). Large businesses and cultural institutions in the borough should consider the potential to join the growing movement of companies founding new accelerator programmes to support innovation in their sectors — following the lead provided by Disney, Google, Telefónica, Ordnance Survey, Cisco and others. The Mayor’s draft London Plan is set to bring forward a stronger policy emphasis on affordable workspace. The council has contributed to new policy development at a London level through the Mayor’s Workspace Advisory Group. The revision of our Local Plan provides the opportunity to develop locally-geared affordable workspaces that positively respond to new London Plan policies. The Lambeth Creative and Digital Industries Study 2017 highlights a set of property assets owned by the council in strategic locations that can be transformed to provide both temporary and permanent workspace facilities. The council is proactively seeking out accelerators and affordable workspace providers who could potentially locate in the borough and assisting their search for space. Lambeth’s programme of support for affordable workspace won the Federation of Small Business and London Council’s award for ‘Best Programme of Support for Small Business’. The council is using its own buildings in the town centre to provide much needed space to bring forward an exciting range of CDI focused spaces. The refurbished Town Hall basement is home to Tripod, a 500 sq. m. workspace for creative and tech organisations. International House, a 4,000 sq.m. 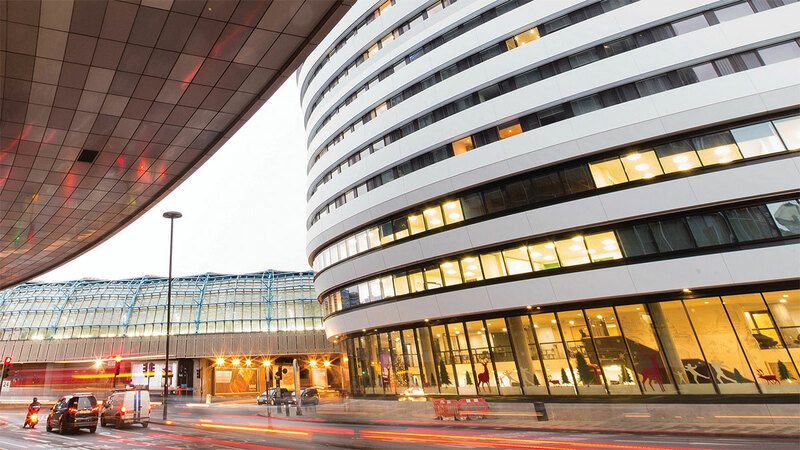 office building recently vacated by the council, has been leased to 3Space for the next 5 years to operate as one of London’s largest affordable workspaces – providing space for both early stage and larger, more established SME’s in the CDI sectors. The Brixton Rec has a 1000 sq. m. space used for storage, where the council is exploring feasibility to create a cutting-edge maker space and deep tech lab. Beyond council-owned assets, Lambeth will be working with key local landowners including Crown Properties and Squire & Partners to see how their buildings can increasingly become focal points for CDI related events and business networking activity. Bourne Properties, a major local landowner, has recently refurbished Capital Tower and Mercury House providing high quality space geared towards the CDI sectors. WeWork, already a major provider of space to CDI business, is set to open their largest workspace in their global portfolio at Southbank Place. The council’s inward investment team has a role to play alongside South Bank BID in working with these key local property owners to generate awareness and the pipeline of new CDI occupiers to these spaces, and to build business networking opportunities amongst them. A cluster of business incubation spaces has formed over the past 18 months at Granby Place, Build Studios and The Health Foundry. At 30 Wootten Street, the council has been working alongside London South Bank University and London College of Communication to develop a new workspace and business support space concept — Waterloo Works. With a funding commitment from the Mayor, Waterloo Works aims to launch in early 2019. Already home to a thriving visual arts cluster, Vauxhall is set for a much-needed boost in the volume of CDI geared workspaces. The Office Group, London’s most successful home-grown workspace company, has recently opened its largest new building at Tintagel House. Workspace Group, the borough’s largest workspace provider, has also communicated its ambition to grow its presence in the area. The council will continue to secure new commercial floorspace on major schemes in the pipeline — at Albert Embankment, the Island Site and elsewhere. 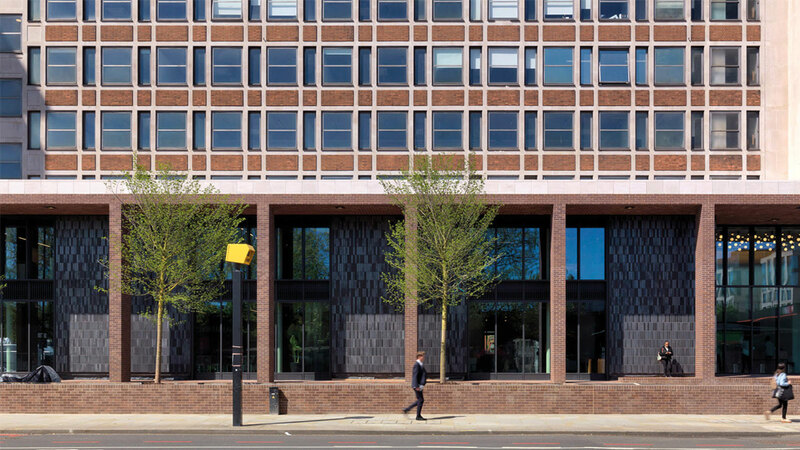 303 Kennington Lane provides the setting for a new Archives Centre for Lambeth, which can become a significant new cultural asset for the area. 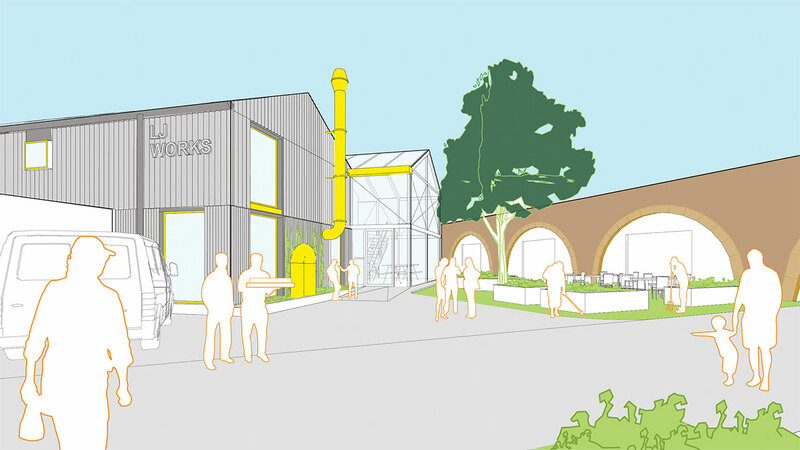 The council is developing ‘LJ Works’, a new affordable workspace facility in Loughborough Junction for artists, makers, and independent food businesses. We are supporting creative organisations including Studio Voltaire in Clapham and 198 Contemporary Arts & Learning on fundraising efforts to expand their creative workspace facilities. Research has also commenced to establish key opportunities for commercial growth and workspace development in Streatham and the West Norwood Commercial Area. Planning policy, expressed in our Local Plan, is one of the council’s most important tools in protecting and encouraging new affordable workspace. In response to the Government’s relaxation of planning laws, Lambeth has successfully introduced an Article 4 Direction for Brixton town centre, parts of Clapham and all of our ‘Key Industrial Business Areas’ — an important step in ensuring there are no future net losses of commercial space in these areas. 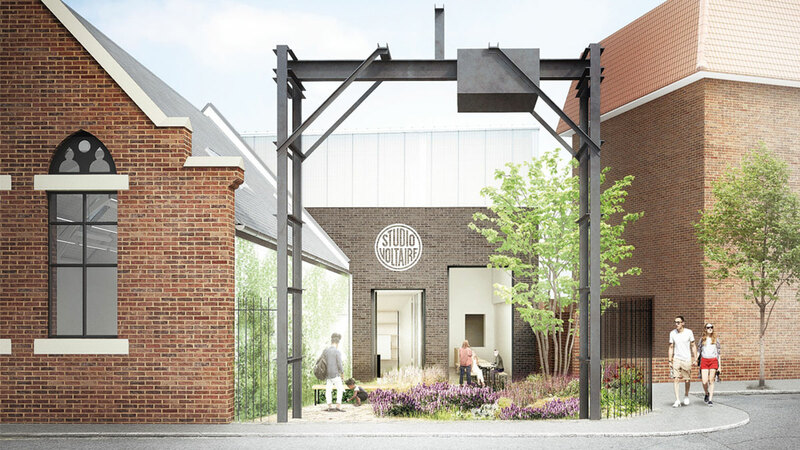 The council has also used the planning system to secure affordable workspace, such as Build Studios — an affordable workspace for architecture and built environment companies established by WeAreWaterloo BID. This was enabled through a planning agreement securing low-cost space with the developer Urbanest. Scaling up Lambeth’s ability to safeguard affordable workspace in new development would require a new policy within our Local Plan. Our Local Plan Issues and Options consultation (December 2017), included affordable workspace as a key topic, highlighting the potential need for new policy approaches to secure affordable workspace in some parts of the borough where need is greatest. The council has drafted wording for an affordable workspace policy and has tested development viability impact as we prepare to revise our Local Plan in 2019. Across the world, cities are engaged in building and enabling fibre infrastructure to provide city-wide, hyper-connected environments. These networks are required to cope with the rapid growth in data consumption and connected devices including utility assets, street lighting, traffic signals and CCTV. Cities such as New York, Hong Kong and Stockholm have leveraged their networks to foster fibre-based services, either directly, or through partnerships with local providers. They have used these new services to support economic development, education, healthcare and other community functions. Access to faster, more consistent broadband speeds will provide a powerful platform for business growth and improved productivity. It enables businesses to take advantage of digital tools, use the internet to be more efficient and effective, and reach new customers and markets online. London’s economic productivity and competitiveness faces a significant threat from poor digital connectivity. Londoners and SMEs are suffering from ‘not-spots’, ‘digital deserts’ and a lack of fibre connections. Across Europe, London also performs poorly, ranking 26 out of 33 capital cities in 2014 for its average download broadband speed. Compared to other London boroughs, Lambeth ranks among the lowest for broadband speeds, just above Southwark and Westminster. At 13.2Mbps, Lambeth’s average download speeds are significantly lower than the national average. The UK Digital Strategy aims to boost the UK’s world-leading digital sectors and overcome barriers to growth and innovation, creating more of the highly-skilled, highly paid jobs of the future. The need for better digital infrastructure is also a key priority for the Mayor of London, and business groups including London First. A part of the council’s CDI Strategy is to play an increasingly active role in funding proposals and lobbying efforts to ensure Lambeth’s interests are best represented at a London and national level. There is also a benefit to greater engagement with neighbouring boroughs to learn from and share best practice. There is an increasingly active and coordinated lobbying effort at a London level to secure investment in better broadband infrastructure. At a borough level, there are also new examples of best practice (e.g. the Connected Westminster project) where councils and other stakeholders are coming together to tackle the issue. 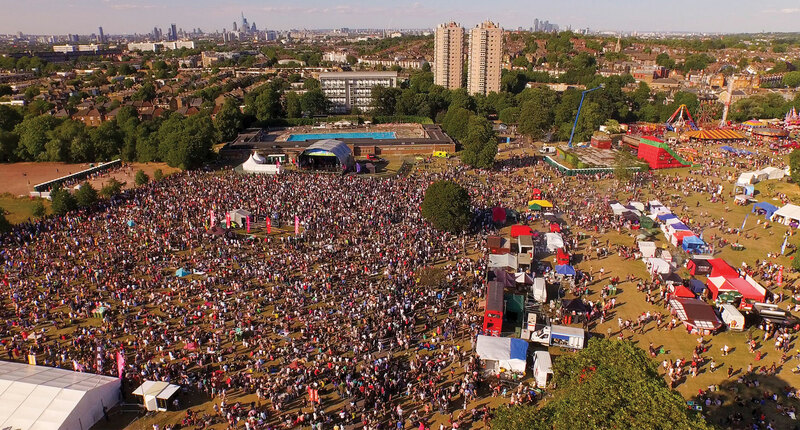 Lambeth has begun to engage with London-wide initiatives, and recently contributed to a major funding application led by Transport for London for £19m of Department for Culture, Media and Sport funding for Gigabit connectivity to some of Lambeth’s key workspace initiatives and public buildings. Lambeth is not homogeneous. We want to keep it that way. Protecting and enhancing the cultural infrastructure underpinning our creative economy is a crucial part of our strategy. Lambeth’s cultural offer contributes to successful town centres, and helps create places where people want to live, work and visit. Culture is a key driver of tourism, a major earner of GVA. Exposure to culture stimulates creativity in individuals and workers — increasingly important in a knowledge-based economy. The Greater London Authority is set to publish a Cultural Infrastructure Plan during 2018 to provide further data on the supply and demand for performing arts and other cultural space types. The Cultural Infrastructure Plan will also provide examples of best practice for securing below-market performing arts space. This comes in response to the decline at a London (and Lambeth) level of the number of live music venues, pubs and clubs — the backbone of night-time culture. The proportion of night-time economy employment in Lambeth is around three times the national average. Our Business Rates Hardship Fund has provided relief to a growing performing arts venue in Waterloo. We are working closely with the GLA on the Cultural Infrastructure Plan and, when published, can use this to support further analysis and development of potential responses to support cultural infrastructure in the borough. For example, by considering the need for performing arts spaces to be one of the range of spaces which could be brokered through an affordable workspace policy. There is also great potential for new outdoor cultural programming to support investment in the borough. Local organisations such as Bureau of Silly Ideas is recognised nationally for its work, injecting art and surprise into everyday spaces, housing one of the largest dedicated Outdoor Arts spaces in London through their workshop and studios they are integral to the development of this growing sector. Cultural programming should be undertaken in partnership with local people. Drawing on the lived experience and stories of Lambeth’s communities, cultural programming can also help tackle inequality and enhance a sense of personal and community identity. Within Lambeth there is great potential for more collaboration between local community groups, and both small and large scale cultural organisations. The strategy urges our large cultural partners to take world class content to new places in the borough and to enable local communities to help shape these experiences. Our Business Improvement Districts are also key to this agenda, and are committed to enhancing their investment in cultural programming in the coming years. Through our London Borough of Culture bid — Radical Hearts, Open Minds, communities helped to bring forward many creative ideas for how cultural programming in the borough could support placemaking and inclusion. Whilst the delivery of many of these ideas will require further fundraising efforts, the Radical Hearts, Open Minds document provides a blueprint for exciting new projects to keep Lambeth culturally rich. Founded in 2014, BDT is an extensive network of multi-disciplinary talent based in and around Brixton. 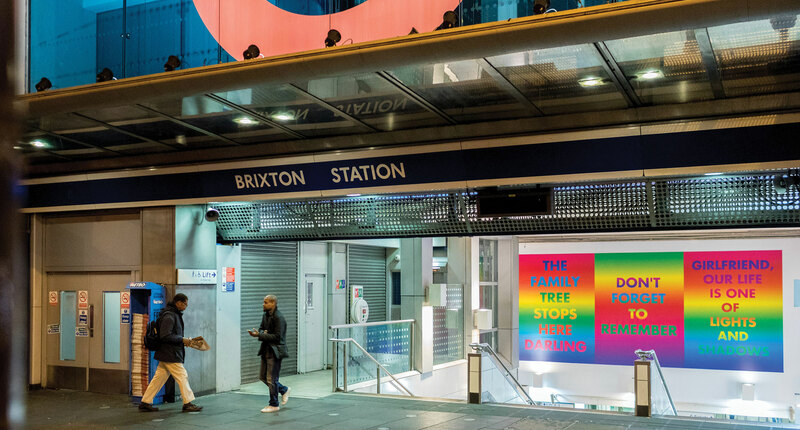 It hosts an annual week-long cultural take-over of central Brixton to showcase the best creative work south of the river during the London Design Festival (LDF). BDT’s mission is to put design into the everyday wherever possible, to open minds and offer a different perspective. Local surroundings are used as a canvas to celebrate local identity and inspire fresh creative thinking around powerful themes. In a strong collaboration with the business community, designers take up residence in shops, bars and restaurants for a series of pop-up exhibitions throughout the indoor markets and in neighbouring streets. Installations are produced in a diverse range of locations in the public realm, from railway arches and bridges, to leading cultural organisations like the Black Cultural Archives. 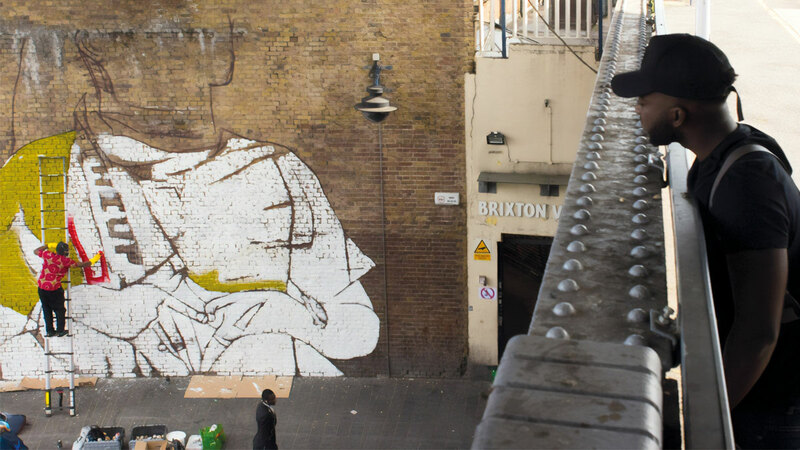 The week drives footfall and spend in local shops, supports community engagement and learning, and beyond the week cements Brixton’s reputation as a creative business destination. BDT is driven voluntarily by a collective of local businesses, and supported by Brixton BID and the council. In 2017, a partnership between Vauxhall One BID and Lambeth Council brought a programme of cultural events to Vauxhall. 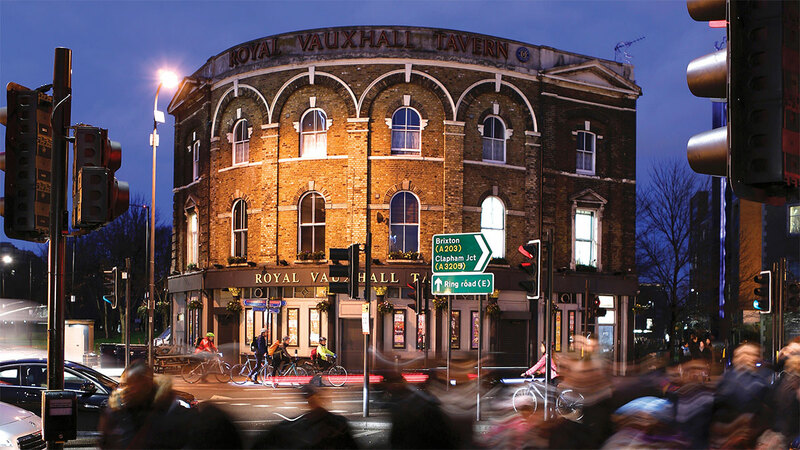 The programme aimed to change perceptions about events in the area and how people think of Vauxhall as a destination, provide more activity for the office community, and encourage new visitors to the area in the early evening and at weekends. The programme involved increasing the range and diversity of cultural programming in the area by facilitating regular free, fun and inclusive activities. These were developed by a cultural programmer and delivered in partnership with professional arts organisations, local partners, businesses and cultural institutions. Activities included Salsa classes and Summer Film Screenings, Bearpit Karaoke, Christmas choirs and Brilliant Vauxhall; a two day atmospheric exploration of light through the use of fire, light guided story-telling, interactive installations and light projection by some of the UK’s most respected outdoor arts organisations. to build on the successes of the programme. The lack of diversity and equality in the creative and digital industries is under the spotlight. 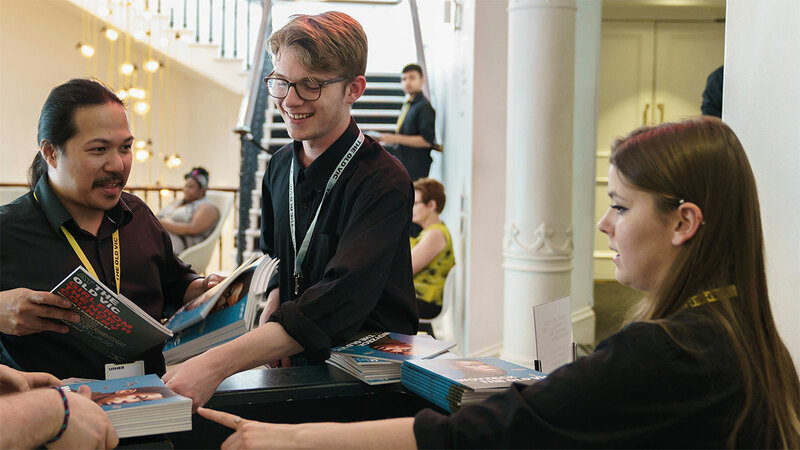 Recent reports from the Creative Industries Federation, Arts Council England, the Warwick Commission, the GLA, and the council all emphasise the need for action. for 92% of the workforce in the creative economy, compared to 66% in the wider UK economy. Four groups of residents of particular concern in relation to inequality: Disabled people, Black Caribbean, Portuguese and Somali nationals. With a wealth of local organisations committed to tackling inequality through the creative and technology sectors, the council can better connect young people, education providers and employers. In order to tackle inequality, interventions should be targeted at the most disadvantaged groups, informed by the Lambeth Equalities Commission findings and Indices of Multiple Deprivation. We will collaborate with local, grassroots organisations who work with particular groups to engage those who are typically hardest to reach. For residents with English as a second language, programmes that bring together skills and training initiatives, and Higher Education partners who deliver English language courses, will be developed and encouraged. We will work with the business community to tackle the barriers preventing equal opportunity. Co-founded and led by Lambeth-based Computer Science teacher, Mark Martin, UK Black Tech is a network dedicated to building a more inclusive tech economy. Its research reveals the schism between the 60% of BAME students in London’s schools and the 5% BAME people in the tech workforce. Activities are designed to accelerate change and to encourage BAME parents and young people to consider digital careers. It advises London Tech Advocates and engages digital businesses on diversity, for example by hosting Round Tables with the major tech companies in London to discuss race in the workplace and how to nurture BAME talent. Within a year of starting up UK Black Tech counts 700 subscribers and runs monthly meet-ups focused on digital skills. Through its social media presence, BAME speakers and mentors, and the release of copyright free images, it promotes better media representation of people of colour in tech. UK Black Tech has plans for a large scale careers fair in Lambeth. Piloted successfully in 2017, ERIC events are now drawing an audience in excess of 400 young people. Attendees benefit from interactive workshops, immersive exhibitors, live entertainment and, importantly, a young, diverse range of speakers who have relevant career advice. 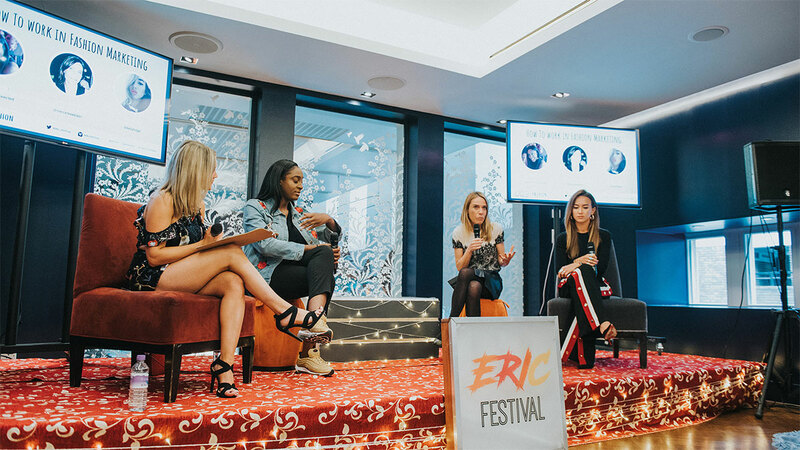 With support from the council and the GLA, ERIC Festival is connecting with new organisations to help them scale-up their events. ERIC is set to collaborate with The OId Vic and The Office Group, which has agreed to be a host-sponsor, enabling the festival to expand to support 2,000 young people over the next year. The council will be working closely with ERIC FEST to help shape direction and delivery of the Next Generation project — a borough-wide campaign to tackle underrepresentation of BAME groups within the creative and technology workforce. A leading visual arts organisation that currently provides affordable workspace to 54 artists, a programme of exhibitions, events and commissions and localised community activities. Established in 1994, Studio Voltaire is home to ActionSpace, an NPO that has supported artists with learning disabilities for over 30 years. Building on over 20 years of championing and supporting emerging and under-represented artists, Studio Voltaire is currently progressing plans and securing funding to undertake a programme of capital development that will transform and expand the offer to artists, audiences and local people. 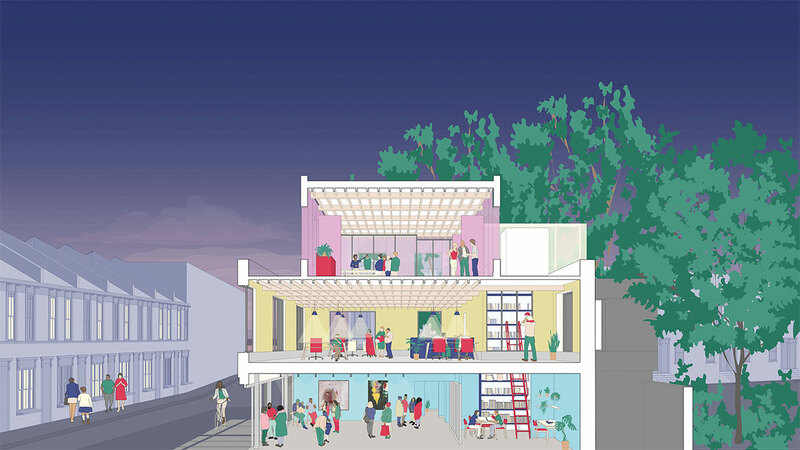 Its proposed scheme will provide 42% more affordable artist space, improve the existing gallery and workspaces, create new spaces for community use, and improve access. An innovative education organisation supporting schools and others in using digital technologies in creative and imaginative ways. Based in Clapham Old Town, CLC fosters collaboration between teachers, students and parents working in partnership with businesses, community and cultural organisations. CLC runs a digital skills programme for Lambeth families. 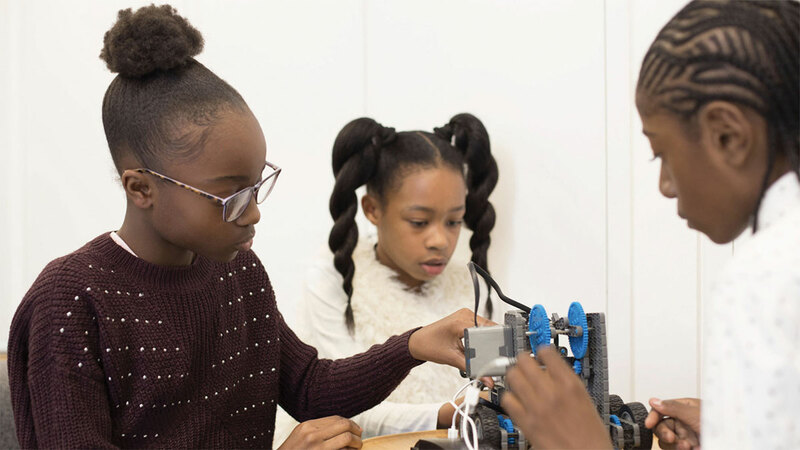 It works in partnership with IBM to provide opportunities and experiences for Lambeth children and teachers; and collaborates with local cultural organisations such as The Garden Museum, BFI and Tate Modern to provide creative and meaningful contexts for the use of technology. CLC has recently published EdTech50 highlighting the best of the ed-tech sector. ‘In our experience, the London CLC is a pretty much unique organisation in the formal education system in the UK. Their integration of technology and creativity; the robustness of their thinking about these areas; and the fact that their practice embraces families, young children, older students, and teachers makes them a leader in the field of creative education.’ Mark Reid, Head of Education, BFI Southbank. 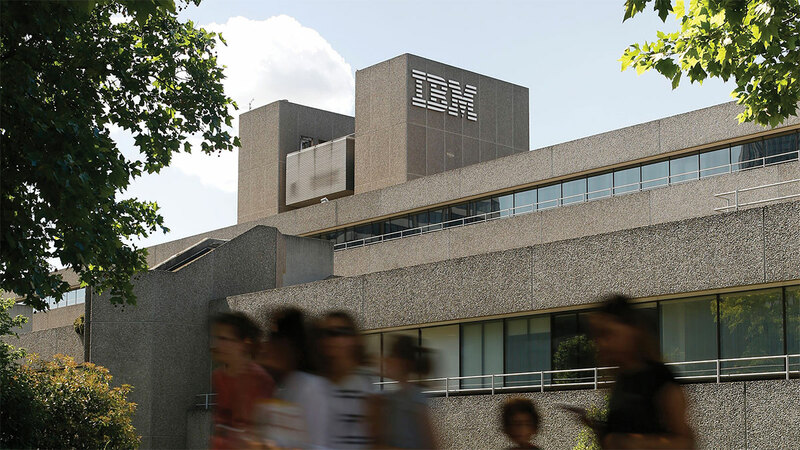 ‘IBM has benefitted from the deep expertise that London CLC possesses to implement a programme of professional development for teachers that on our own we would have been unable to do. The impacts have been used to catalyse similar collaborations internationally.’ Mark Wakefield, Corporate Citizenship & Corporate Affairs Manager for IBM UK. Lambeth has world-class creative and digital businesses and significant growth potential, but the sector is currently smaller and less clustered than other central London boroughs. We need to change this by taking action. See desktop for more information.